While reading through the following list, please keep in mind that I've yet to play a number of games that are sure to take up space on similar lists that appear on other blogs and sites--games like Batman: Arkham City, The Elder Scrolls V: Skyrim, The Legend of Zelda: Skyward Sword, Mario Kart 7 and Uncharted 3. Really, though, my lack of experience with the aforementioned games shouldn't matter much to those looking to add a few interesting, exciting or fun titles to their collections, since I'm not presenting the games below as "the best of 2011." Rather, I'm presenting them as the ones that provided me with the most enjoyment this past year. 1. 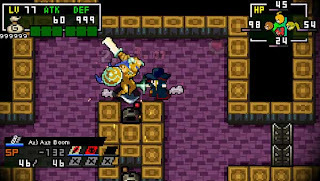 Cladun x2 (PSP)--I know I have yet to write about this game as much as I wrote about its predecessor, but don't take that to mean I liked it less. On the contrary, I prefer Cladun x2 to the original Cladun in pretty much every way--and that's saying something, because I really enjoyed the first one. My favorite aspects of this sequel, though, are its insane customization options and its wider variety of, well, everything--characters, enemies, locales and weapons. 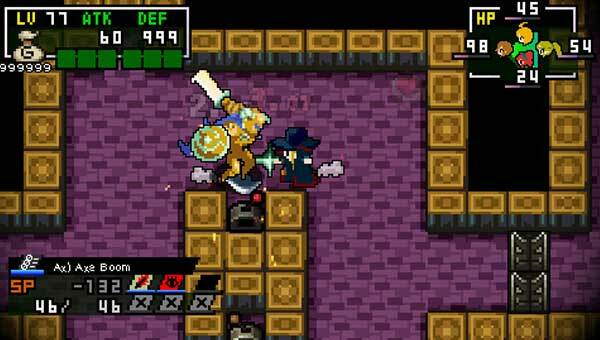 If you own a PSP and you're at all into dungeon crawlers or roguelikes, this game is for you. 2. Kirby's Return to Dream Land (Wii)--A blogger pal of mine recently said via Twitter that this game "is everything that is right about video games." I was skeptical of that comment until I actually obtained and played the game myself. 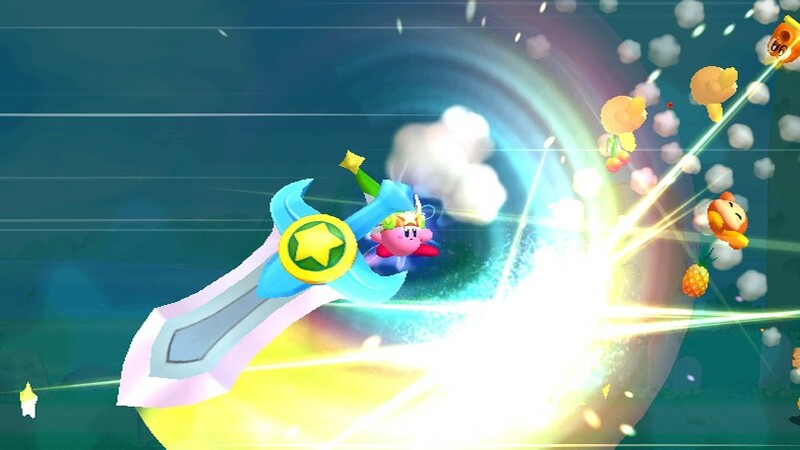 Now I see why he said that, as Kirby's Return to Dream Land is pure joy from start to finish. Yes, it's fairly easy--just like nearly every other Kirby game that came before it--but that's not really the point. What is the point is that everything about it is fun--from the music to the graphics to the gameplay. I especially love obtaining and using Kirby's super abilities, which, in general, allow the little pink puff to wreak havoc on an entire screen's worth of enemies at once. 3. 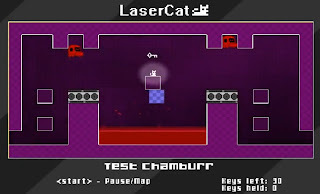 LaserCat (Xbox 360)--I've been sitting on a half-finished "somewhat gay review" of this XBLIG title ever since I beat it earlier in the year. That's a crying shame because I absolutely adored every minute I spent playing it. 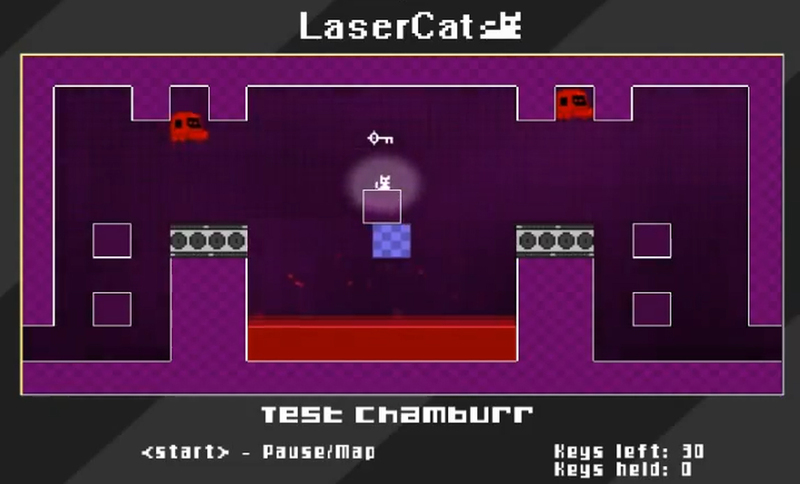 As for why that is: Well, it kind of reminds me of Metroid without any enemies and with a collect-a-bunch-of-keys-to-save-your-friend element thrown in for good measure. That's a rather simplistic description of this deliciously Day-Glo game, of course, but what else can you expect from a write-up that's just 100 words in length? 4. Sugar Shooter (PC)-- Admittedly, this came out in 2010, but it was at the very end of 2010 (Dec. 20, to be exact). Also, I only got my hands on it a few months ago. So, I'm including it here. What else can I say about this download-only, Windows-based game (unless you decide to spring for the boxed Japanese version) that I haven't said in previous posts? Not much, other than if you like shoot 'em ups and you aren't squeamish about seeing a bunch of manga-styled bears stripping and, er, sexin' it up, you're sure to get your money's worth out of Sugar Shooter. 5. Wizorb (Mac, PC, Xbox 360)--I spent a long time looking forward to playing this Tribute Games release and you know what? It was well worth the wait--especially given its $3 price tag. So much goodness is packed into this Breakout-meets-Zelda game that I feel bad that the guys at Tribute earned so little for all their effort. Really, I would have paid $40 for this had it been released for the Genesis back in the day. (Actually, I'd pay that now if it were released on cartridge and came with a full-color manual and box.) You don't have to love brick-breakers to find this appealing, by the way--all you have to do is love having fun. Honorable mention: Pac-Man Championship Edition DX (PS3, Xbox 360). 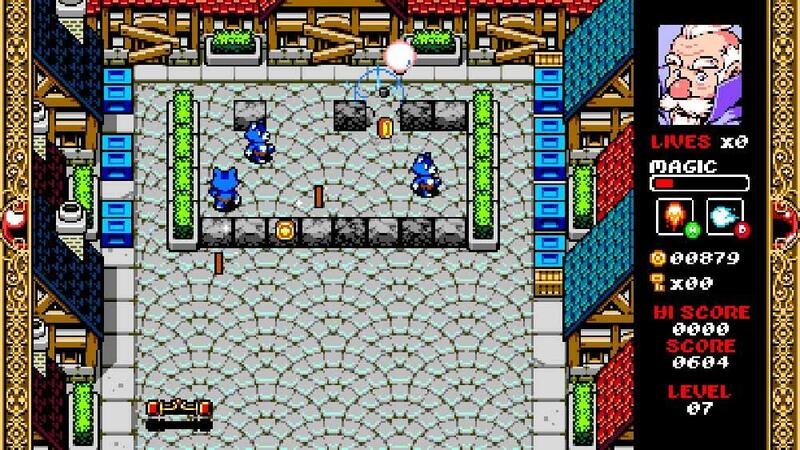 Why didn't this downloadable game make the cut? As much as I love all of the options that were added to the original Pac-Man CE, I much prefer the first release's gameplay to that found in this buffed-up sequel. Weird list and only one game from a big publisher. I'm the same really. Spent most of the year finishing my PhD so from october onwards I've been playing catch up so missed out on loads of big games but have had the most fun with the niche ones. Except Dark Soul's which is god like! Must make a start on my own list. Hey there, Retr0gamer! Yes, I think 'weird' is a good word to use to describe this list :) That's pretty par for the course for me, though, don't you think? I'm sure more "big name" games would have made the list had I actually played them. 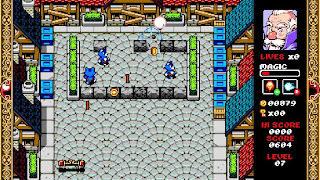 As it is, I spent most of the last year playing retro games and/or niche/downloadable games. So, the latter make up most of this list. Anyway, I look forward to reading your list. When do you think it'll be up? Nothing wrong with weird. Not played any of those games but I'll be on the look out for them now. I'll probably throw up something quick on new years day or close to it, nothing too elaborate, just the games I'd recommend that I played that got released this year. Mine would include Skyward Sword, Super Mario 3D Land, Mario Kart 7, Terraria, and probably Pokemon Black/White. Ah, I forgot about Pokemon Black/White! Still, I'm not sure I would include it. At the very least, though, it would have earned honorable mention, or something like that. Maybe I'll update the post tomorrow. I don't think I've played enough of Super Mario 3D Land to know if it should be included on the list or not. I'm definitely enjoying it, but I'm not blown away by it yet. Of course, I'm only on the fourth world (I think). Play it. I'm sure at least the graphics will woo you. You're talking about Terraria, right? If so, the graphics already have wooed me :) Also, I love the sound of the game. I've just dragged my feet on buying it because I don't like playing games via PC. Of course, I spent quite a bit of time playing both Sugar Shooter and Wizorb on our PC, so why not do the same with Terraria? Assuming I do this soon, Justin, where should I buy it? Where did you buy your copy? Via Steam? Yup. I got mine via Steam. It seems a good choice. I haven't tried any of these! Will look forward to playing a few of them in 2012!